#187 "TV is not good for your brain." Do you agree? Since having TV hasn’t been difficult to purchase for normal family, it has become essential for us. TV channels work very hard because there is no day that we don’t watch TV. It shows news for the dad in the morning, gossip news and soap operas for the mom after that, and in the evening, variety shows, sports programs, anime, dramas and movies are useful for the family to have a good time. Some people say that watching TV spoils the ability of imagination in one’s childhood. They also say that reading books and imaging the scenes from the book are important to improve this ability. I remember that my mom said that. If they are true, many of today’s people are less clever than people before TV. I don’t think so, human beings have still enough power to improve their intelligence. TV has brought us a new method of facing facts. That is live broadcast. It shows real events that happen somewhere in the world at the same time without any editing. For instance, watching disasters and incidents like terrorism on live broadcast is shocking, because we understand that is a real-time event. Newspapers cannot convey the same feeling. That is a strong point of watching TV. It is hard to say if TV is good or bad for your brain totally. However, there is one important thing about watching TV: not using brain while watching TV, just killing your time without thinking, is not good for your brain. TV has really become an important part of our lives. Even though I personally don’t watch TV, I remember how it shaped by personality when I was a child. I agree on how reading improves the imagination of children but as you stated, you should remember the merits of TV in terms of communication. 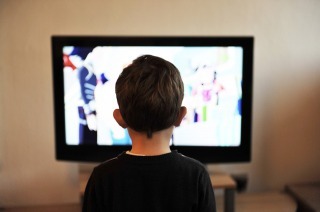 I believe the biggest problem about watching TV is how it puts us into a passive position. Some people use TV as a nanny. This is how people turn out to be addicted to TV. If we choose educational programs over reality shows and teach our children how to keep balance between reading and watching TV, I believe their brains wouldn’t be washed. Moreover, if we choose the shows wisely, TV channels can’t continue making TV shows that are harmful for our brains.